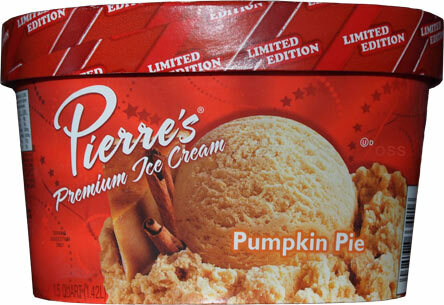 On Second Scoop: Ice Cream Reviews: Pierre's Pumpkin Pie Ice Cream Have a Great Thanksgivings Everyone! Have a Great Thanksgivings Everyone! Alright, one last pumpkin review to wrap up the fall season (side note: this is a lie, there'll be one more next week). Now I've spent the last several weeks thinking about writing some nice heartfelt post about how we should appreciate every moment of holiday family time. Sure the holidays can seem like a chore but some day you'll be looking back going "remember when grandma cooked that" or "remember when the kids did that" or whatever. Ahhh, I'm too tired to be sentimental, just try to enjoy Thanksgiving and we'll leave it at that. Let's get to the ice cream! I try to do the sniff test... it sure smells like pumpkin pie. Ok, it's mild on the pumpkin flavoring and there's definitely a milky quality to it. 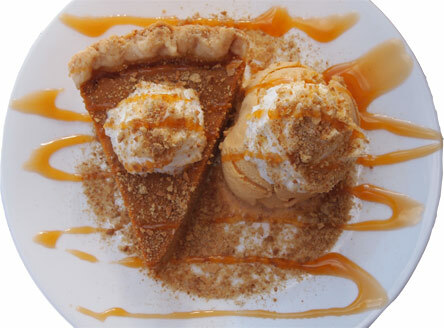 I'm not sure we've had one that seems so strong on the ice cream aspect of pumpkin pie yet. 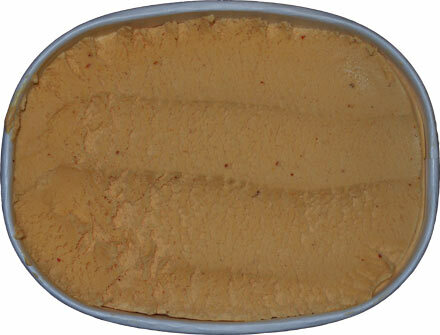 Of all the flavors we've tried, they tend to be more pumpkin then ice cream (flavor wise), but this one is definitely an ice cream first kind of thing. The spices? Well, they are definitely there, but I'm debating how to describe them. 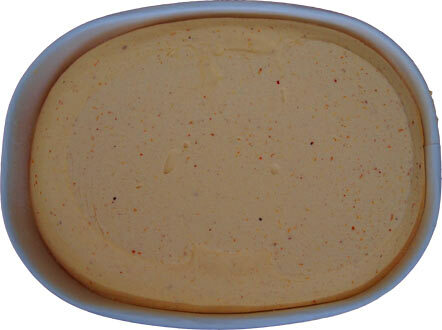 Part of the problem is that spice balance is very much a regional / personal preference kind of thing, so no two pumpkin ice cream products will ever be the same. I just wish I knew my spices better so I could tell you which one is jumping to the front here. It's defintely not cinnamon, maybe it's the nutmeg? It's not far ahead from the others, but I'm having trouble quantifying everything at the moment. I get this feeling like the spices are trying to burst through here and overpower, but they are being held back. You know what, I'll be back for a second scoop later. On Second Scoop: Yeah, it's a little too strong on the nutmeg for my likely (or maybe it's the molasses), I'd prefer a bit more of a sweet pumpkin kick if I had my choosing. It kind of hits you with the milk and then the nutmeg is on the backside. They probably should have called this one pumpkin spice instead of pumpkin pie, especially since there is no crust component. You know what? 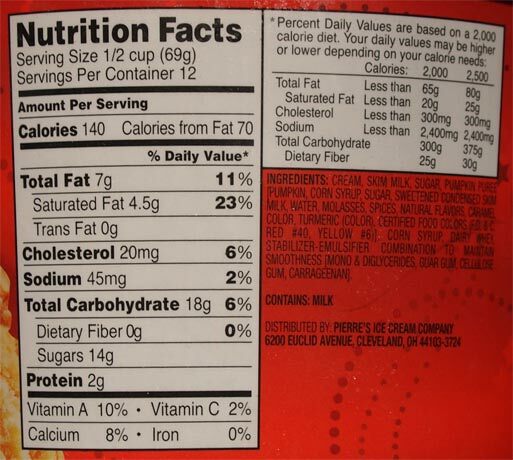 I think I may have this one as a nice pumpkin milkshake when we get back from Thanksgiving dinner tomorrow. I haven't made that shake yet... but I made this instead. Buy Again? I need my sweet crust kick!